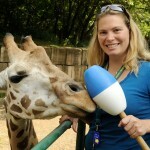 Melissa Nelson Slater joined the Wildlife Conservation Society in January 2008, and is Assistant Curator of Behavioral Husbandry at The Bronx Zoo. 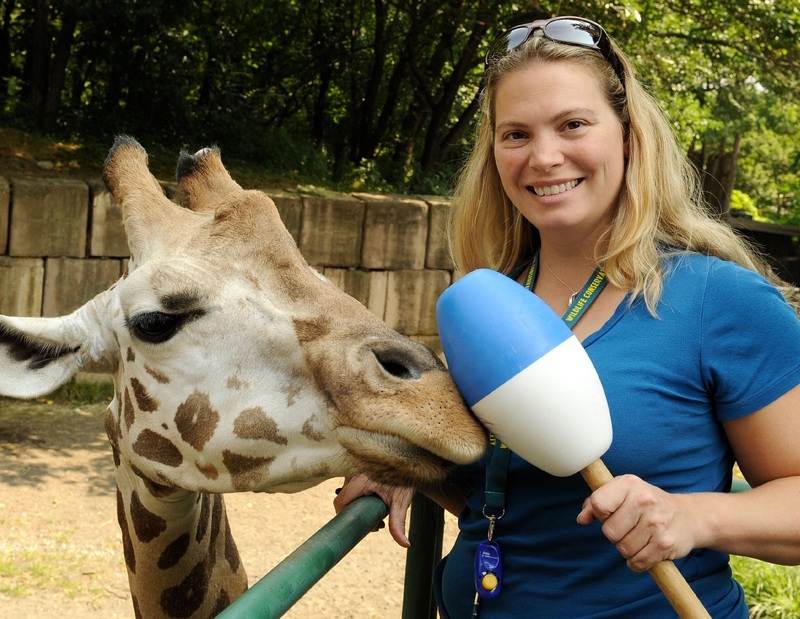 She is responsible for the development and implementation of the enrichment and training programs, headlined by the Zoo’s scientifically-based Animal Enrichment Program. She facilitates daily goal-based enrichment for every animal in the collection. Her duties include; educating and supervising the staff in appropriate behavior modification techniques, targeting specific behavioral issues, and directly participating in daily enrichment and training sessions. Melissa began her training career with bottlenose dolphins and California sea lions as well as with private dog training. Her current role encompasses a wider, more exotic range of subjects including; Komodo dragons, white rhinos, giraffes, vultures, Nile crocodiles, California sea lions and lemurs to name a few. Melissa is an Associate Certified Applied Animal Behaviorist and is a professional member of both the Animal Behavior Management Alliance and the International Marine Animal Trainer’s Association. In addition to earning her Master’s Degree in Psychology with a focus in Animal Behavior and Conservation from Hunter College, she is currently enrolled in a PhD program in Biopsychology and Behavioral Neuroscience at the CUNY Graduate Center.